Vinification techniques: Classic white wine vinification from sun dried grapes (10-12 days). Aging in old oak barrels for a minimum of 24 months. Vinsanto is the most genuine descendant of the “passon oinon”, as the sun dried wines were called in antiquity. 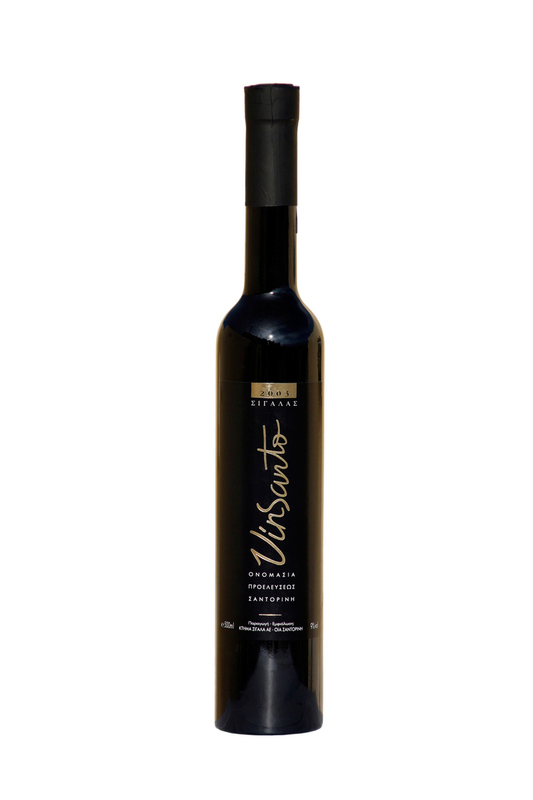 During the Middle Ages the ancient volcanic Thira was renamed as Santo Erini – Santorini and thus the wine took the name Vino Santo – Vinsanto, thus declaring its place of origin. Thus, the name is a «historical name of appelation», one of the few still in existence. Organoleptic characteristics: Bright orange-golden color. Rich and complex aroma with dominant scents of dried and sugared fruits. Exquisite structure, acidity and finesse, with a strong aftertaste.